Photography by Aston Husumu Hwang. Published on Vice’s Amuse website. Too many people think that Korean food is all about barbecue, but Seoul has more to offer than marinated short ribs and lettuce wraps. 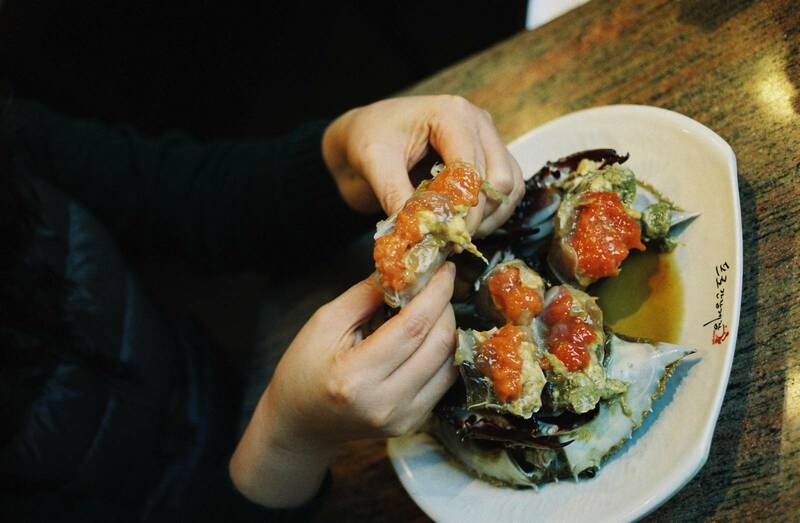 Seoyoung Jung and Sonja Swanson are the founders of Bburi Kitchen (a website that reintroduces lesser-known ingredients and fading traditional recipes to a fast modernising Korea) and here take us on a locals’ eating escapade around Seoul. Here are their top 10 picks. Ganjang gejang is raw, soy sauce-marinated crab. Surrounded on three sides by ocean, Koreans naturally eat buckets of seafood. 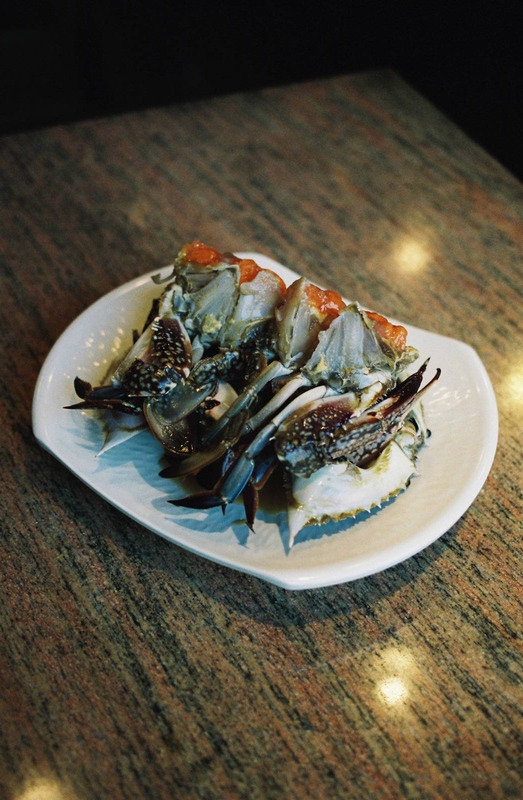 They salt and ferment a variety of ocean life, but this restaurant’s specialty is their sweet, creamy, egg-laden crabs. 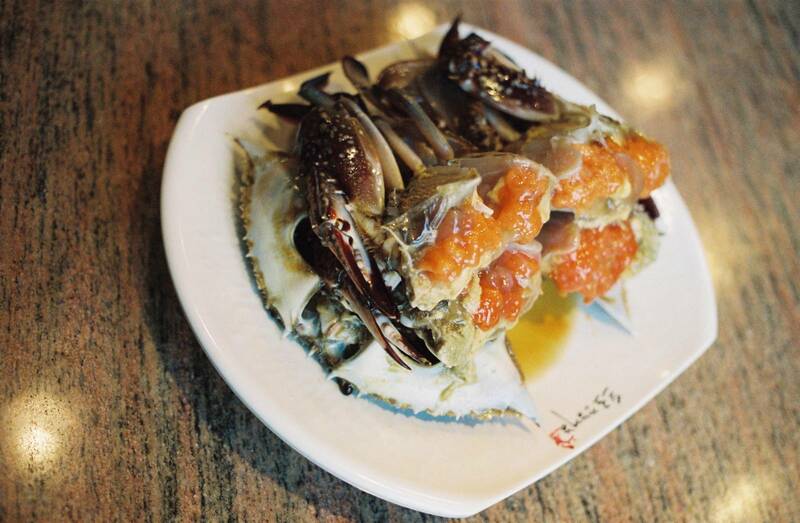 After a few days of bathing in soy sauce, the crabs are split open and served with a side of warm rice. Mix the crab meat, eggs and marinade into the rice and try not to faint with delight upon first bite. For entertainment, try the live octopus. This restaurant south of the river is worth the trip for any adventurous eater. 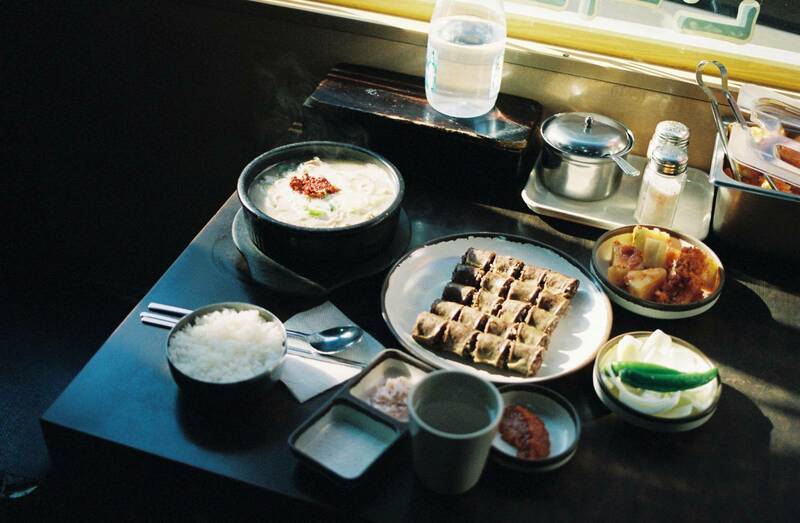 The most famous dish at this restaurant is nurungji (crispy browned rice porridge) and dak baeksuk (whole chicken soup). A large, impressive plate of poached chicken arrives at the table perched on top of an earthenware pot of nurungi. Eat the chicken and then dive into the toasted rice porridge. It’s hearty, soul-warming food. A side dish of memil jeon (buckwheat pancakes) accompanies the chicken. The pancakes are thin and flaky with a chewy centre. Tear off a piece and wrap up some of the buckwheat sprouts piled on top. Dip in the vinegar gochujang sauce and enjoy. A bit of an effort to find, this hole in the wall restaurant serves some of the best bibimbap (a bowl of warm rice served with several toppings of marinated vegetables, a raw or fried egg and sliced meats) in Seoul. It’s run by an exacting grandmother who still tastes every single dish before it goes out. The rice here is cooked with two different kinds of stock and then seasoned with their secret sauce. They were apparently the first restaurant to serve their bibimbap in a sizzling hot stone bowl, creating that signature crispy rice at the bottom of the bowl. This restaurant is located in a hilly neighbourhood with great views, however it’s the handmade stuffed mandu, or dumplings, that are the star. Whether in soup or steamed, the dumplings are subtly seasoned and beautifully presented. The cool summer dumplings are the signature style: stuffed with cucumbers and mushrooms, they are a light dish to enjoy on a warm, breezy day. Relax with a glass of rice wine (makgeolli) or the local wild mountain raspberry liquor (bokbunjaju) to accompany the charming scenery. Handmade tofu dishes are what keeps patrons coming back here for more. 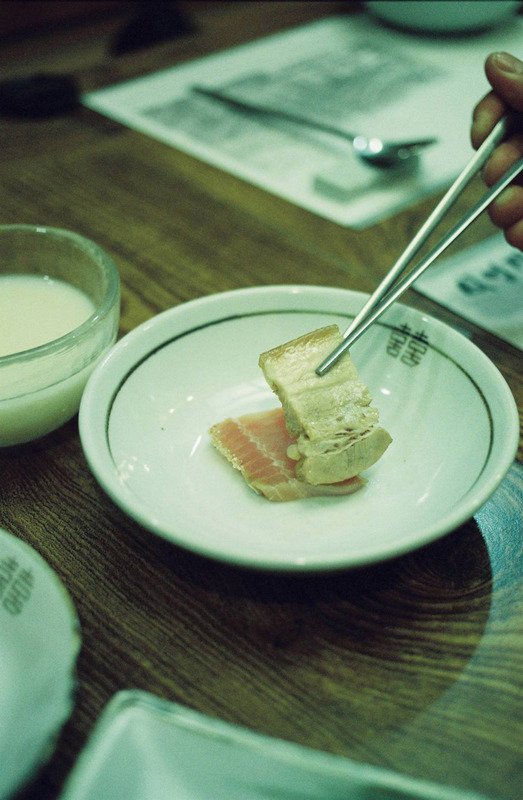 Their most popular dishes are made from biji, the tender, white dregs left after making tofu. We recommend the yeongyangsik daebiji, a very simple biji stew which lets the quality of the product shine. Jokbal is Korean braised pork trotters. This dish is sometimes overly rich and sweet, but Yeongdong Jokbal has balanced the flavours perfectly, opting for a mild and savory version. Dip a piece of the pork in the salted shrimp paste, tuck inside a lettuce leaf with any of the accompanying vegetables and wrap like a lettuce taco. Their jokbal is so popular that they’re often sold out by 8pm, so get there on the early side of the evening. This little joint is not well-known, but it is a great local hangout near Yangjae Station. Soondae is not Korean for an ice cream sundae – it’s Korean blood sausage. Cellophane noodles, blood and vegetables are the main ingredients. This version is exceptional, not stuffing the sausages with too many noodles or vegetable as filler – the ratio is just right, making for a creamy, slightly chewy sausage. Perfect on a hot summer’s day, naengmyeon is a cold noodle dish hailing from the north. It is most often made with chewy buckwheat and sweet potato noodles. The noodles are so long that servers come by wielding large scissors, offering to cut your noodles before you begin slurping. The noodles are served in a chilled broth and topped with sliced scallion, a hard boiled egg and a strip each of beef and pork. Pildong Myeonok’s soup is a stunner because of the broth: the dish comes out looking mild, but don’t be deceived—this broth is very rich. Enjoy the new sensation of eating a chilled, almost icy, soup. Mind bending. Gwangjang Market (est. 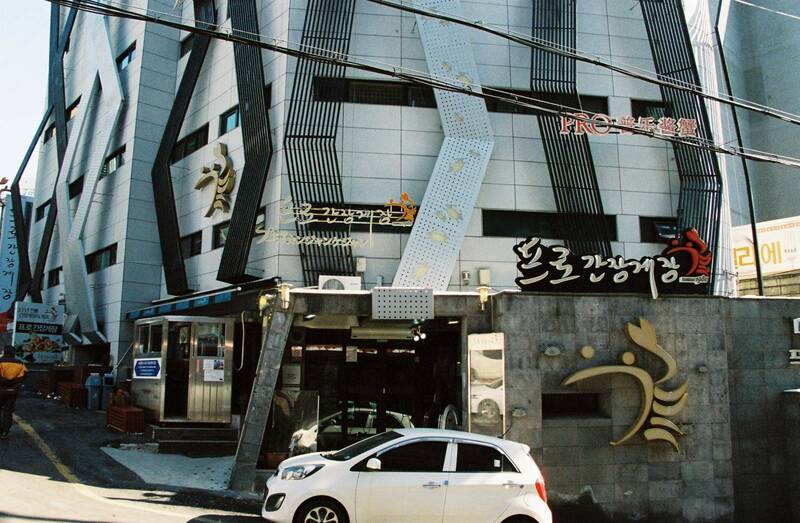 1905) is a hotspot for street food and Sooninae Bindaeddeok is right in the thick of it. Koreans and tourists alike flock here for their tender, crispy hot bindaeddeok, savory mung bean pancakes, which are the size of a small frisbee. Because their bindaeddeok sell like hot cakes, a fresh one is guaranteed at any time of the day. Be sure to try this popular market fare before getting lost in the variety of street food in this lively market. Hongeo might be the most challenging dish on this list to recommend since even many Koreans find this dish pungent in aroma. Like the controversial fruit durian, if you’re willing to give fermented skate, or hongeo, a chance, you may learn to love it. It can be quite refreshing, or even minty. Some lovers of this dish say. 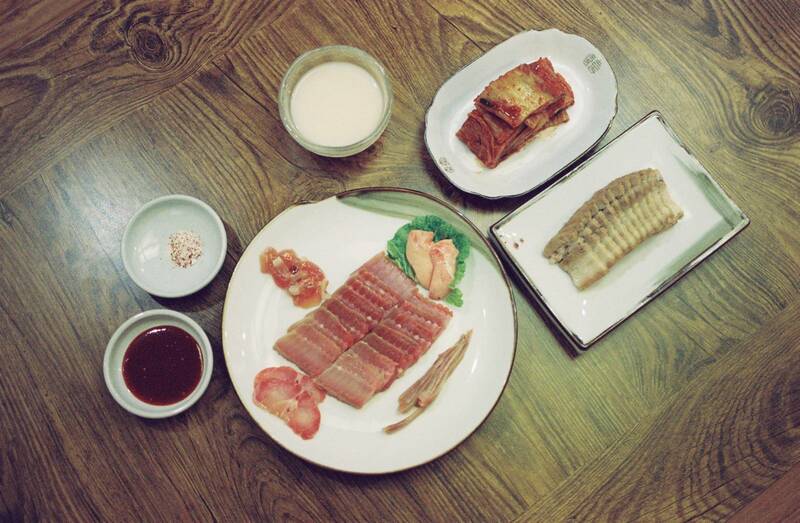 Sikyeongjeong serves hongeo from Heuksan Island (on the southwest coast of Korea) that the owner ferments himself. He is so confident in the quality of his skate that he doesn’t mask the flavour with any dipping sauces, but instead serves it simply with a side of salt. It is a great place for adventurous eaters who want to try a classic version of hongeo: layer it with pork and kimchi for the true Korean experience. Previous Post Roaches and Crabs: Drugs and Disease or Unusual Ingredients? This is a great list of foods to try. I’m hoping to get to Korea this upcoming winter. I’ll have to keep this as a reference!